Excellent quality hachet from Hultafors of sweden. This one is a slightly heavier head and longer handle than the origional version, being 17 3/4 inches overall length. 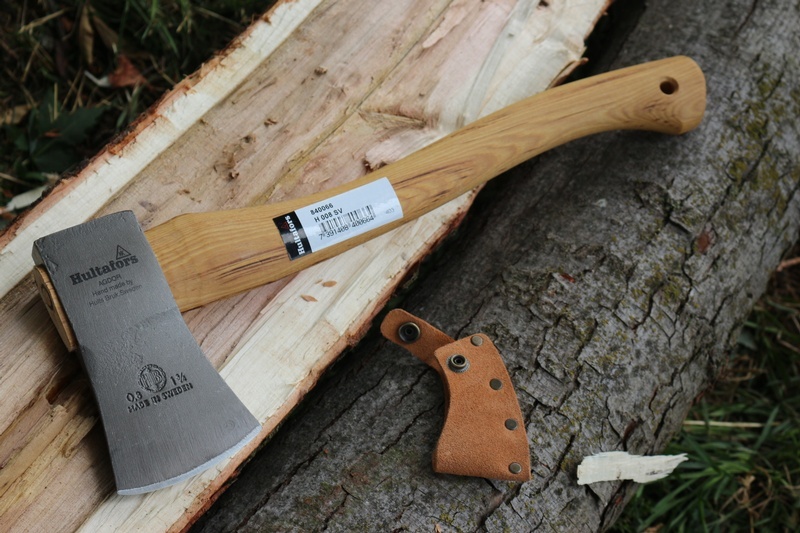 Same superb swedish steel head, heartwood hickory handle and Hultafors know-how. 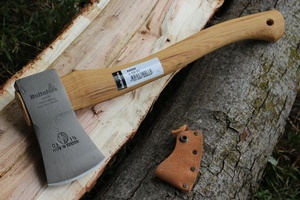 General purpose axe for a great price. Made in Sweden, comes with leather edge cover. OAL 17 3/4 inches, head weight 1 3/4LBs. 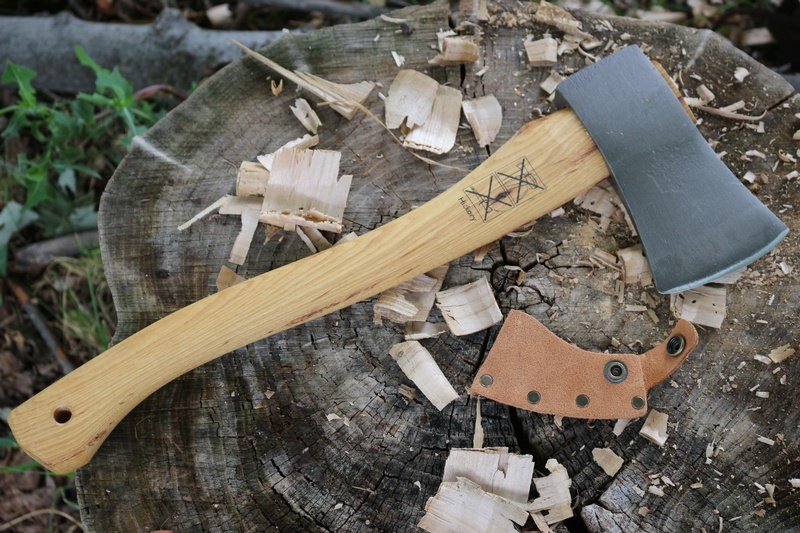 Purchase through PayPal by using the "Add To Cart" button above or use the form below to order the Hultafors 1.75LB Hatchet . 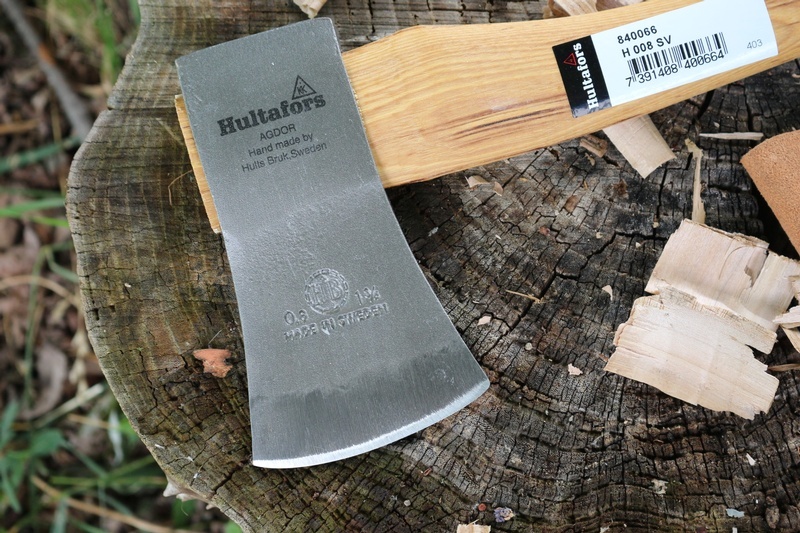 Feel free to contact us if you have any questions about the Hultafors 1.75LB Hatchet .